I-Lipo™ is an FDA approved technology used as a safe, non-invasive dermatological aesthetic treatment for the reduction of circumference of hips, waist, and thighs. 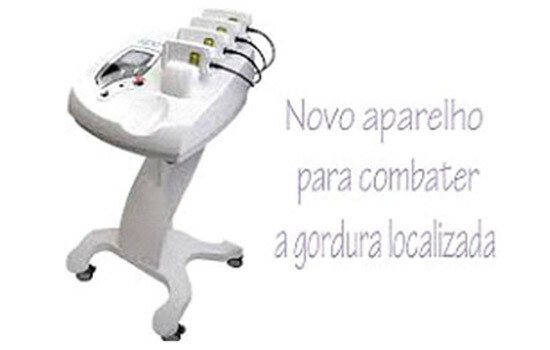 This is a non- invasive laser weight loss treatment that shrinks fat cells beneath the skin. There are no incisions and the fat is removed through the body’s lymphatic system. There is no downtime and you can expect to spend a total of 1 hour or less in the office (20 minutes for the treatment and 30 minutes of exercise or sauna following the treatment). You will initially receive a total of 8 treatments spread out over 1-2 months with an average loss of 2 cm (3/4 inch) per session, although individual results may vary. The results are natural looking and will appear gradually. In a randomized, controlled study, patients experienced an average weight loss of 2-12 cm from their waist, hip and thighs in just one session. Instead of using a cannula, the doctor externally applies treatment pads to the targeted areas! The transmission of the low-level laser beam (650nm) brings about a chemical signal which alters the cell’s chemistry leading to the release of an enzyme called lipase. This enzyme breaks down triglycerides into free fatty acids and glycerol inside the fat cells. Then the fatty acids and glycerol are released through channels in the fat cell membranes. After that these compounds are transported to the body tissues and are metabolized to create energy. For more info on how i Lipo laser works have a look here. You have to follow a session of 8 treatments in order for the full results to be achieved! Finally, you have to follow post-treatment physical exercise in order to make sure that the body will utilize all released fatty acids to create energy! Thirty to forty-five minutes of daily exercise post treatment is recommended! i Lipo can be applied in more than one body areas (which is definitely cost-effective) but it is much safer to spread out your procedures. The process described above is a 100% natural response of the body when there are energy needs. This is why i-Lipo is not creating any unnatural reaction in the body (like destroying fat cells and removing them via suction) and put the body through much less stress! What is also important is that the i Lipo process doesn’t cause any damage in blood cells, peripheral nerves or skin (which is a usual complication in other techniques such as ultrasonic liposuction). Due to the above-mentioned benefits i Lipo is a safer way to eliminate unwanted fat comparing to other lipolysis techniques. Results should be immediately clear after treatment, and you should be able to maintain the results over the long term as long as you maintain a healthy lifestyle. While the number of treatments varies, a typical course is 2 treatments per week for four weeks, though it may depend on how many areas you need done and also on how much fat you need to be removed. The average treatment takes about 2 cm off of the waistline so it may take a while before you start noticing dramatic results. Of course, many people who want plastic surgery want instant results, but the fact is, it is simply healthier and safer to take a gradual course at changing the shape of the body. I-Lipo reviews seem generally positive, although there aren’t that many independent reviews of the procedure yet (you can view testimonials on the website, however). This being the case, if you’re going to get a procedure, make sure to do thorough research on the doctor you’re going to use, though this should always be a step in getting liposuction of any type. The testimonials clearly express that i-Lipo does seem to have some benefits right off the top, however, the main one being its moderation.